Has anyone seen the Drum ?? Nearly two years since we did the Pedestal on Stormhold Server, still a fun fight here on Fallen Gate! First Poets Palace Return Raid with the Squad! After a bad version of Lockjaw, our "l33t" raid team took to the Courts of Al'Afaz and here you can see our first pull. Ok, we got better but fun start to our new raiding adventures here on the Fallen Gate Server! Level 60 .. Here we come!! Farewell Stormhold Server and Hello Fallen Gate! Farewell to Stormhold Server, it has been a blast over the last 2 years! 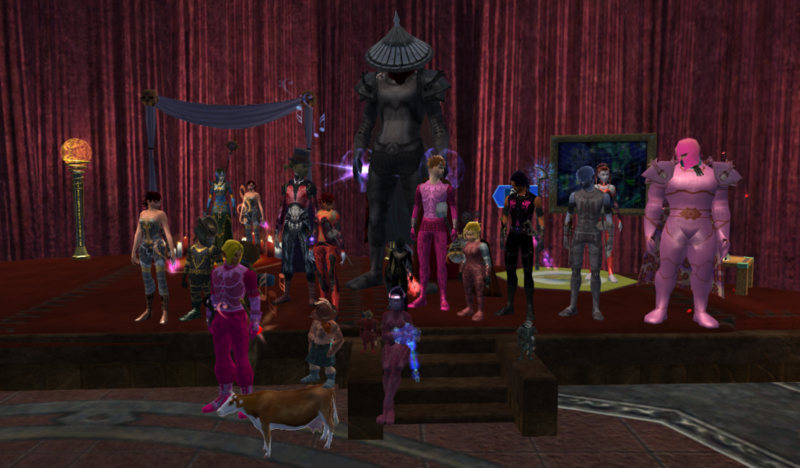 Big thanks to all guildies past & present for making it so much fun. Our adventures continue on Fallen Gate Server.. here we go again!